The Key Concepts in Science book series offers a vivid learning experience that deepens students’ understanding of important concepts and connects each concept to a scientist or engineer studying it. 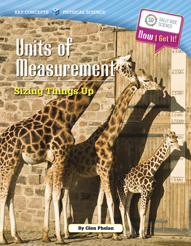 Each book has a comprehensive Teacher Guide that provides correlations to standards, lesson plans, learning goals, science vocabulary strategies, common misconceptions, student handouts, assessments, and more. 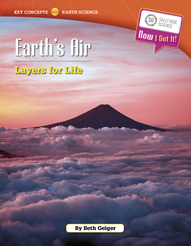 Each of the 12 Key Concepts in Earth Science books takes an in-depth look at one "big idea" in Earth science. Each of the 12 Key Concepts in Life Science books takes an in-depth look at one "big idea" in life science. Each of the 12 Key Concepts in Physical Science books takes an in-depth look at one "big idea" in physical science.